The Australasian Dragon Championship for the Prince Philip Cup will also preview the teams taking part in the Dragon World Championship on the same waters. 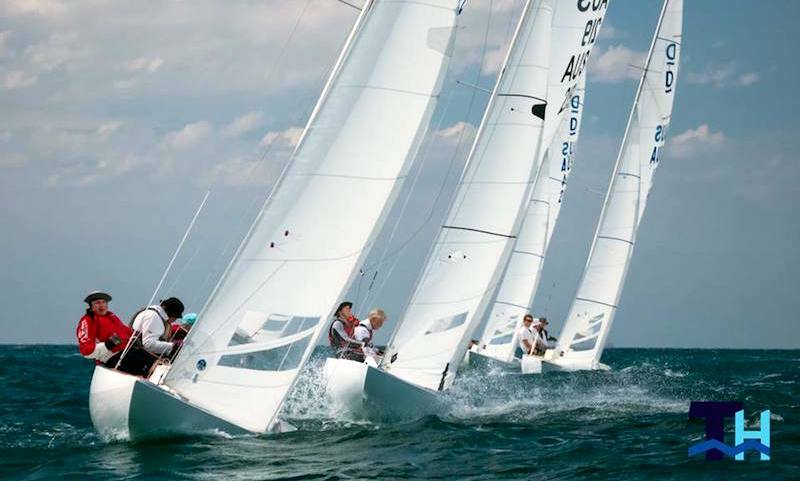 The regatta runs from Saturday 29 December to Wednesday 2 January, hosted by the Royal Freshwater Bay YC held on the ocean waters using the facilities of Fremantle SC. The Australasian Dragon Championship will be followed by the 2019 Dragon World Championship starting on Friday 4 January. The sky is blue, the waters aquamarine and the infamous ‘Fremantle Doctor’ has been blowing regularly on most afternoons. The waters are quite shallow creating a steep chop across much of the race course providing a good test for local and international sailors alike. The current world champions, Andy Beadsworth, Ali Tezdiker and Simon Fry, sailing Provezza and representing Turkey, have been practising off Fremantle with Peter Gilmour’s Yanmar Racing Team representing Japan, for a couple of weeks. Most of the other international teams have just started to arrive from as far away as Great Britain, Belgium, the Netherlands, Germany, Switzerland, Russia and Hong Kong. They are joined by Australian teams that have made the long journey from one end of the continent to the other. These include a previous Prince Philip Cup winner, Nick Rogers from Tasmania. This is about a 4,200 km trip which takes several days by road. There are also teams from Victoria and Sydney, NSW. Sixteen local teams from the regatta host club Royal Freshwater Bay YC are racing the Australasian Championship. One of the local favourites Willy Packer is racing with Julian Harding and his son, Jock Packer in Scoundrel. Willy is also a previous winner of the Prince Philip Cup and also came 3rd on the same waters off Fremantle when the Dragon Worlds were last held there in 1995.